If someone had told Lisa Braun when she was 15 that she would one day be back living in her hometown of Warman producing inspirational calendars, she would have laughed in scorn. "My life was pretty messed up back then and I couldn't get away from Warman fast enough. I said I would never come back. But, never say never. God has a sense of humour." Six years ago, Braun and her husband Roger and their children moved back to Warman, where Braun cares for her family and passionately pursues her gift for photography. "It's not something I had training for," she says. "I know it is a gift from God. It isn't that I go out looking for pictures, or that I wait for hours for something to happen. God just seems to put me in the right place at the right time." One example of that is an amazing photograph of a resting, snow-covered deer. "Roger and I were driving to the lake, when suddenly Roger stopped and said, 'Get out your camera.' I hadn't even noticed it, but there was a deer in the ditch with its back all covered with snow. It lay there the whole time I snapped away." "Another time, we were going to Emma Lake for our anniversary. It was a beautiful fall day, and we were listening to praise and worship music as we drove, feeling like we were travelling with the angels. I said, 'It would be so cool, God, to see a bear right now.' We turned a corner and there was a black bear in the ditch eating berries." Braun has loved photography since she was a child, but it was only when her youngest daughter started kindergarten that she began working at it seriously. 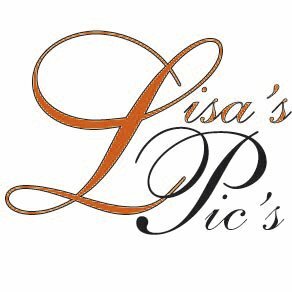 A photographer friend who was booked to shoot a wedding and couldn't, asked if Lisa was interested in doing it. She's been doing wedding photography ever since. "I don't have a studio," she says. "God's creation is my studio and interestingly enough, I have never yet had a wedding session rained out." Lisa began taking photographs to Page One Printing in Saskatoon to have them made into cards which she offered for sale on the Thickwood Hills Studio Trail, a self-drive tour of artisan locations. "Page One asked if they could use some of my pictures for a Saskatchewan calendar they were producing. They ended up using six in the 2007 calendar which they sold to businesses for $2 a piece. The business could put their name and advertising information on the bottom and hand out the calendars to customers. "I asked if I could sell the calendars, too. In three days, I sold 3,000 to about 14 businesses. I said, 'God, can it be this easy?'" That gave Braun the idea to produce calendars of her own. She had Page One make 10,000 copies of a 2008 calendar containing 12 of her own prairie-themed photographs. In no time, she had sold every one. She decided to do a second calendar for 2008, this one an inspirational calendar with Bible verses superimposed on the photographs. "This," she says, "is my heart. My heart is for God who gave me the gift. I love to capture what God created and bless others with it. I love putting scripture to photos." It all happens very naturally. "When I'm taking a picture, certain words from a verse will pop into my mind. I'll already know when I'm setting up the photo exactly what verse I will use and where it will go. It is definitely God-inspired." One such photo is of a red barn taken on a very frosty day. "I gave the duplicate prints to the son of the woman who used to live on the farm when I was a child. He picked one, and said, 'Mom would love to have a verse on it from your Bible.' I wondered if there was a verse in the Bible that mentions frost, so I looked in the concordance. Sure enough, Job 37:10 says: 'By the breath of God, frost is given.' Reading that gave me chills. I could just visualize God breathing on the earth, covering everything with hoar frost. I can never see frost again the same way." Braun's calendars have become a popular item for fundraising. Churches, clubs, and schools buy them for $2 each (minimum of 100), imprint their own logo on the bottom, and sell them for whatever markup they want. Generally, Braun says, the calendars sell for $10 a piece. "Osler Mission Chapel is building a new church and bought 500 to sell. Saskatoon Christian School also sells my calendars as a fundraiser." Braun's 2008 calendars are available from her website: www.photographybylisabraun.blogspot.com or by email: lisaspics@sasktel.net. Polachic is a freelance writer. I never ever would have dreamed that someday my photographs would have been in a calendar, let alone my own calendar with my own photographs. I don't know if I would've 'laughed in scorn' as was written in the article but I definitely wouldn't have believed it at that point. I'm just continually amazed at what God has done in my life and around me. God is so good! Even though I left home at age 15, I did remain in school in Warman until I graduated in 1987. My High School years were much better than my Junior High years although overall my school years weren't the worst. I had lots of friends and great teachers. I had a difficult upbringing but I didn't have any major issues with the town itself. The Inspirational Calendar was the very first calendar I ever wanted to create because that was my passion. I love putting scripture to photos. About 15,000 calendars had been printed and OVER 10,000 calendars have been sold to date. Three different calendars were printed: Inspirational 2008, Prairie Scenes 2008 - both of these are filled with my photographs - and then a 2008 SK Scenes calendar which is Page One Printing's version with a variety of SK photographers including myself. So with all 3 of these calendars, about 15,000 or more had been printed originally. There are still more available to be sold. Scott's Parable Christian Store in Saskatoon has also been selling the Inspirational Calendar as well and will still have them available in the New Year. Thanks for reading and God bless you all!